FUEL EFFICIENT 38 MPG Hwy/30 MPG City! WiFi Hotspot, AUDIO SYSTEM, CHEVROLET INFOTAINMENT.. ENGINE, 1.4L DOHC 4-CYLINDER MFI, TRANSMISSION, CONTINUOUS VARIABLE (CV... SILVER ICE METALLIC exterior and JET BLACK interior, LS trim SEE MORE! KEY FEATURES INCLUDE Back-Up Camera, Onboard Communications System, WiFi Hotspot. MP3 Player, Electronic Stability Control, Bucket Seats, Brake Assist, 4-Wheel ABS. OPTION PACKAGES TRANSMISSION, CONTINUOUS VARIABLE (CVT) (STD), ENGINE, 1.4L DOHC 4-CYLINDER MFI (98 hp [73.07 kW] @ 6200 rpm, 94 lb-ft of torque [127.4 N-m] @ 4400 rpm) (STD), AUDIO SYSTEM, CHEVROLET INFOTAINMENT 3 SYSTEM, 7 DIAGONAL COLOR TOUCHSCREEN, AM/FM STEREO. Additional features for compatible phones include: Bluetooth audio streaming for 2 active devices, voice command pass-through to phone, Apple CarPlay and Android Auto capable (STD). Chevrolet LS with SILVER ICE METALLIC exterior and JET BLACK interior features a 4 Cylinder Engine with 98 HP at 6200 RPM*. EXPERTS CONCLUDE Great Gas Mileage: 38 MPG Hwy. WHY BUY FROM US Central Maine Motors Auto Group has been proudly serving the community since 1935. We do not charge documentation fees, we provide a full tank of gas whether you choose to purchase a new or pre-owned vehicle as well as complimentary, lifetime Maine State Inspections. Please confirm the accuracy of the included equipment by calling us prior to purchase. LT trim, SILVER ICE METALLIC exterior and JET BLACK/DARK TITANIUM interior. iPod/MP3 Input, Onboard Communications System, WiFi Hotspot, Satellite Radio, TRANSMISSION, 6-SPEED AUTOMATIC, Back-Up Camera. EPA 34 MPG Hwy/26 MPG City! READ MORE! KEY FEATURES INCLUDE Back-Up Camera, Satellite Radio, iPod/MP3 Input, Onboard Communications System, Aluminum Wheels, WiFi Hotspot MP3 Player, Keyless Entry, Remote Trunk Release, Steering Wheel Controls, Child Safety Locks. OPTION PACKAGES TRANSMISSION, 6-SPEED AUTOMATIC (STD), ENGINE, ECOTEC TURBO 1.4L VARIABLE VALVE TIMING DOHC 4-CYLINDER SEQUENTIAL MFI (138 hp [103 kW] @ 4900 rpm, 148 lb-ft of torque [199.8 N-m] @ 1850 rpm/auto, 2500 rpm/manual) (STD), AUDIO SYSTEM, CHEVROLET INFOTAINMENT 3 SYSTEM, 7 DIAGONAL COLOR TOUCHSCREEN, AM/FM STEREO. Additional features for compatible phones include: Bluetooth audio streaming for 2 active devices, voice command pass-through to phone, Apple CarPlay and Android Auto capable. (STD). Chevrolet LT with SILVER ICE METALLIC exterior and JET BLACK/DARK TITANIUM interior features a 4 Cylinder Engine with 138 HP at 4900 RPM*. EXPERTS CONCLUDE Great Gas Mileage: 34 MPG Hwy. WHY BUY FROM US Central Maine Motors Auto Group has been proudly serving the community since 1935. We do not charge documentation fees, we provide a full tank of gas whether you choose to purchase a new or pre-owned vehicle as well as complimentary, lifetime Maine State Inspections. Please confirm the accuracy of the included equipment by calling us prior to purchase. EPA 38 MPG Hwy/30 MPG City! WiFi Hotspot, Lane Keeping Assist, ALL-WEATHER FLOOR LINER PACKAGE, Back-Up Camera, iPod/MP3 Input, Smart Device Integration. BLUEPRINT exterior and BLACK interior, LE trim. CLICK NOW! KEY FEATURES INCLUDE Back-Up Camera, iPod/MP3 Input, Onboard Communications System, Smart Device Integration, Lane Keeping Assist, WiFi Hotspot MP3 Player, Keyless Entry, Remote Trunk Release, Child Safety Locks, Steering Wheel Controls. OPTION PACKAGES ALL-WEATHER FLOOR LINER PACKAGE cargo tray, All-Weather Floor Liners. Toyota LE with BLUEPRINT exterior and BLACK interior features a 4 Cylinder Engine with 139 HP at 6100 RPM*. EXPERTS ARE SAYING Great Gas Mileage: 38 MPG Hwy. OUR OFFERINGS Central Maine Motors Auto Group has been proudly serving the community since 1935. We do not charge documentation fees, we provide a full tank of gas whether you choose to purchase a new or pre-owned vehicle as well as complimentary, lifetime Maine State Inspections. Please confirm the accuracy of the included equipment by calling us prior to purchase. Onboard Communications System, WiFi Hotspot, Back-Up Camera, TRANSMISSION, 6-SPEED AUTOMATIC, AUDIO SYSTEM, CHEVROLET INFOTAINMENT.. FUEL EFFICIENT 38 MPG Hwy/28 MPG City! LS trim, BLACK exterior and JET BLACK interior READ MORE! KEY FEATURES INCLUDE Back-Up Camera, Onboard Communications System, WiFi Hotspot Rear Spoiler, Keyless Entry, Electronic Stability Control, Bucket Seats, 4-Wheel ABS. OPTION PACKAGES LS CONVENIENCE PACKAGE includes (K34) cruise control, (BTV) remote vehicle starter system, (UC3) steering wheel-mounted controls, (SK8) 16 aluminum wheels, 16 tires and (NJ0) electric rack-mounted, reduced travel power steering, STEERING WHEEL CONTROLS, MOUNTED AUDIO AND PHONE INTERFACE CONTROLS, AUDIO SYSTEM, CHEVROLET INFOTAINMENT 3 SYSTEM 7 diagonal color touchscreen, AM/FM stereo. Additional features for compatible phones include: Bluetooth audio streaming for 2 active devices, voice command pass-through to phone, Apple CarPlay and Android Auto capable. (STD), ENGINE, 1.4L TURBO DOHC 4-CYLINDER DI with Continuous Variable Valve Timing (CVVT) (153 hp [114.08 kW] @ 5600 rpm, 177 lb-ft of torque [239 N-m] @ 2000-4000 rpm) (STD), TRANSMISSION, 6-SPEED AUTOMATIC (STD). Chevrolet LS with BLACK exterior and JET BLACK interior features a 4 Cylinder Engine with 153 HP at 5600 RPM*. VEHICLE REVIEWS Great Gas Mileage: 38 MPG Hwy. WHO WE ARE Central Maine Motors Auto Group has been proudly serving the community since 1935. We do not charge documentation fees, we provide a full tank of gas whether you choose to purchase a new or pre-owned vehicle as well as complimentary, lifetime Maine State Inspections. Please confirm the accuracy of the included equipment by calling us prior to purchase. NIGHTFALL GRAY METALLIC exterior and JET BLACK interior, LT trim. Onboard Communications System, Remote Engine Start, WiFi Hotspot, TRANSMISSION, 6-SPEED AUTOMATIC, Aluminum Wheels, Back-Up Camera. EPA 38 MPG Hwy/28 MPG City! AND MORE! KEY FEATURES INCLUDE Back-Up Camera, Satellite Radio, Onboard Communications System, Aluminum Wheels, Remote Engine Start, WiFi Hotspot. Rear Spoiler, Keyless Entry, Steering Wheel Controls, Electronic Stability Control, Bucket Seats. OPTION PACKAGES TRANSMISSION, 6-SPEED AUTOMATIC (STD), ENGINE, 1.4L TURBO DOHC 4-CYLINDER DI with Continuous Variable Valve Timing (CVVT) (153 hp [114.08 kW] @ 5600 rpm, 177 lb-ft of torque [239 N-m] @ 2000-4000 rpm) (STD), AUDIO SYSTEM, CHEVROLET INFOTAINMENT 3 SYSTEM 7 diagonal color touchscreen, AM/FM stereo. Additional features for compatible phones include: Bluetooth audio streaming for 2 active devices, voice command pass-through to phone, Apple CarPlay and Android Auto capable. (STD). Chevrolet LT with NIGHTFALL GRAY METALLIC exterior and JET BLACK interior features a 4 Cylinder Engine with 153 HP at 5600 RPM*. EXPERTS CONCLUDE Great Gas Mileage: 38 MPG Hwy. 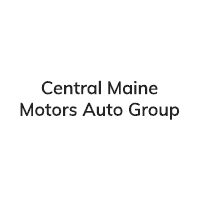 MORE ABOUT US Central Maine Motors Auto Group has been proudly serving the community since 1935. We do not charge documentation fees, we provide a full tank of gas whether you choose to purchase a new or pre-owned vehicle as well as complimentary, lifetime Maine State Inspections. Please confirm the accuracy of the included equipment by calling us prior to purchase. LT trim, PACIFIC BLUE METALLIC exterior and JET BLACK interior. EPA 38 MPG Hwy/28 MPG City! Satellite Radio, Back-Up Camera, Remote Engine Start, Onboard Communications System, Turbo Charged, AUDIO SYSTEM, CHEVROLET INFOTAINMENT.. CLICK ME! KEY FEATURES INCLUDE Back-Up Camera, Satellite Radio, Onboard Communications System, Aluminum Wheels, Remote Engine Start. Remote Trunk Release, Steering Wheel Controls, Electronic Stability Control, Bucket Seats, Climate Control. OPTION PACKAGES CONVENIENCE PACKAGE includes (AVJ) Keyless Open, (BTM) Keyless Start, (KA1) heated driver and front passenger seats, (AH5) driver 8-way power seat adjuster, (DLF) outside heated power-adjustable, manual-folding mirrors and (WPR) Driver Confidence Package, TRANSMISSION, 6-SPEED AUTOMATIC (STD), DRIVER CONFIDENCE PACKAGE includes (UD7) Rear Park Assist, (UKC) Side Blind Zone Alert with Lane Change Alert and (UFG) Rear Cross Traffic Alert, ENGINE, 1.4L TURBO DOHC 4-CYLINDER DI with Continuous Variable Valve Timing (CVVT) (153 hp [114.08 kW] @ 5600 rpm, 177 lb-ft of torque [239 N-m] @ 2000-4000 rpm) (STD), KEYLESS OPEN, FRONT DOORS AND TRUNK, AUDIO SYSTEM, CHEVROLET INFOTAINMENT 3 SYSTEM 7 diagonal color touchscreen, AM/FM stereo. Additional features for compatible phones include: Bluetooth audio streaming for 2 active devices, voice command pass-through to phone, Apple CarPlay and Android Auto capable. (STD). Chevrolet LT with PACIFIC BLUE METALLIC exterior and JET BLACK interior features a 4 Cylinder Engine with 153 HP at 5600 RPM*. EXPERTS CONCLUDE Great Gas Mileage: 38 MPG Hwy. VISIT US TODAY Central Maine Motors Auto Group has been proudly serving the community since 1935. We do not charge documentation fees, we provide a full tank of gas whether you choose to purchase a new or pre-owned vehicle as well as complimentary, lifetime Maine State Inspections. Please confirm the accuracy of the included equipment by calling us prior to purchase. When you’re shopping for a new car near Augusta, ME, turn to the car dealerships in the Central Maine Motors Auto Group! Central Maine Motors is home to three different car dealerships that sell eight different brands, so we’re sure to have the ideal car, truck, SUV or minivan to fit your lifestyle and budget. Shop new Toyota and Chrysler sedans to find a selection of fuel-efficient cars including the Chrysler 300, Toyota Camry and Toyota Corolla. Need a new pickup truck you can count on? We have plenty of Chevy Silverado 1500, Chevy Silverado 2500 and Ram 1500 trucks for sale. We also have all your favorite SUVs from Buick, Chevrolet and Jeep. From the new Buick Encore to the Toyota RAV4 to the Jeep Grand Cherokee, there’s a family-friendly SUV for you. Browse the different cars for sale at our car dealerships near Augusta, ME, today!